Already compatible with Windows PCs and Macs, the super-fast Thunderbolt 3 connector technology will soon also work with Linux PCs. The technology will be featured in a new model of Dell’s upcoming XPS 13 Developer Edition, which will have Ubuntu Linux. Thunderbolt 3 will be available via a USB Type-C port. The PC maker is building driver support for Thunderbolt 3 and USB Type-C into the XPS 13 Developer Edition, wrote a Dell employee in a company forum. Thunderbolt 3 is a connector technology that can hook up PCs to external peripherals like storage and monitors. It’s like USB, but four times faster. A 4K movie could be transferred from an external storage device to a PC in 30 seconds. Linux PCs will be a lot more capable with Thunderbolt 3. Users will be able to connect two 4K monitors simultaneously, connect to external graphics cards and establish a peer-to-peer network with other Linux PCs. Thunderbolt 3 was introduced last year, and can transfer data at a whopping 40Gbps (bits per second). That is twice as fast as Thunderbolt 2, which was introduced in 2014. The biggest change in Thunderbolt 3 is a move away from proprietary connectors to USB Type-C ports and cables. 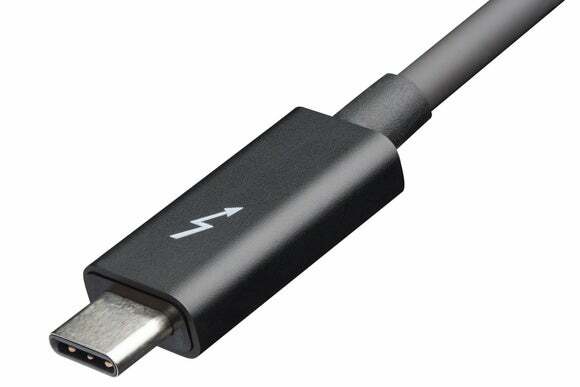 USB Type-C connectors are being added to PCs, but a special controller is needed for the port to be Thunderbolt 3-capable. Thunderbolt 3 also supports Gigabit ethernet, DisplayPort and the PCI-Express data transfer protocol. But questions remain as to whether Thunderbolt 3 peripherals—which need separate drivers—will actually work on Linux PCs. No peripheral on the Thunderbolt Web site is listed as being Linux compatible. Over time, more Linux PCs will be Thunderbolt 3 ready. Intel has already implemented Thunderbolt 3 drivers in the Linux kernel, a spokesman for the chip-maker said. The XPS 13 Developer Edition laptop—which is part of an internal Dell Linux development effort called “Project Sputnik”—will have an Intel sixth-generation Core processor code-named Skylake. The laptop is expected to become available soon. Project Sputnik started off an as experiment four years ago to bring Linux to thin-and-light laptops with touchscreens. Sputnik has evolved into a larger effort to develop tools and drivers for hardware like Thunderbolt 3 to work on Linux.